If not, there is a good chance you are about to. April marks the start of the three-month period during which you are most likely to see crawling ants making lots of appearances around your home. Few people would expect to be totally ant-free, but there is a difference between spotting a few and seeing hundreds of them outside your home. The problem becomes more difficult to handle if you start seeing them indoors, but there are ways you can tackle the issue. Where are the ants coming from? The ants will have a nest somewhere, and it often doesn’t take much effort to find it. You can purchase bait stations to position near the nest. Make sure you follow the instructions and keep the bait well away from pets and wildlife. You may alternatively have some success with a watered-down solution of liquid soap. However, in this case, you will need to repeatedly reapply the solution, especially after rain. It will take a while to work, but it should give you the desired results. How are the ants getting into your home? If the ants are continually appearing indoors, you need to find out where they are coming in. If you leave the back door or a window open during the summer, this might be the cause. You don’t need to keep your home hermetically sealed though. You can use sprays and other deterrents to stop ants using open doors and windows to gain entry. However, ants are tiny and will find many other ways to enter your home given half a chance. If you see ants in your home, watch them to see if you can figure out where they are getting in. You are more likely to see a greater concentration of them near the entry point. If you find small holes or other openings, be sure to seal them so the ants can no longer use them. What should you do if you cannot get rid of the ants? If you find you are losing the battle to keep them out and you are not sure how they are getting in, you may well benefit from seeking advice from a pest control expert. 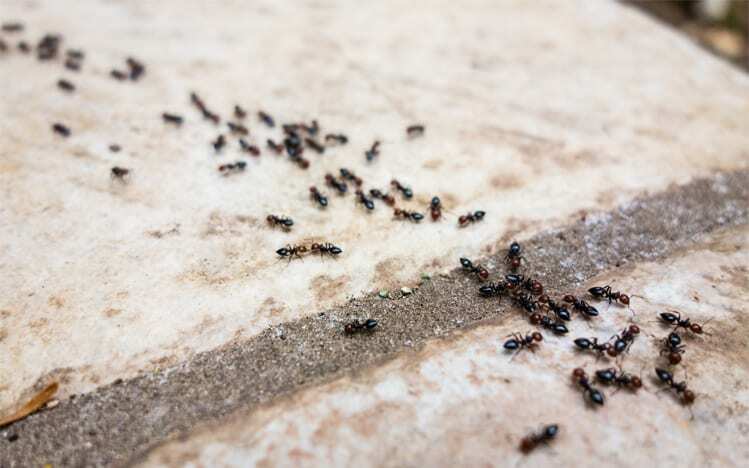 Trained in spotting entry points and providing treatments to get rid of ants in the home once and for all, this might be preferable to trying DIY ant treatments when you have a larger issue to deal with. Is It Too Early for Flea Infestations?